According to Mark P. Jones, Chairman of the Department of Political Science at Rice University, there is very little ideological difference between Sen. Jeff Wentworth and Elizabeth Ames Jones, a point that has been highly publicized since being published in the Texas Tribune a few days ago. Dr. Donna Campbell, challenger for Senate District 25, released a 30 second TV ad this week with a similar message. The spot, called “Entrenched”, shows the similarities between the voting records of Elizabeth Ames Jones and longtime incumbent Senator Wentworth, labeling both as career politicians who have voted for fiscally irresponsible budgets in the past. 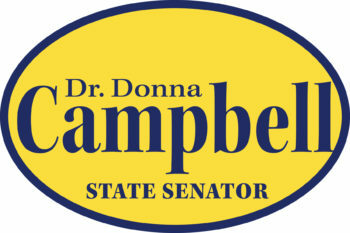 Dr. Donna Campbell has been championed by tea party groups and gained key social conservative endorsements, including Texas Right to Life, Texas Alliance for Life, Texas Leadership Coalition, Texas Home School Coalition PAC, David Barton (of WallBuilders), and Pastor Robert Emmitt (of CBC), adding to her credibility as the only true conservative in the race.